Last week, I talked about how to set up a tutoring service. 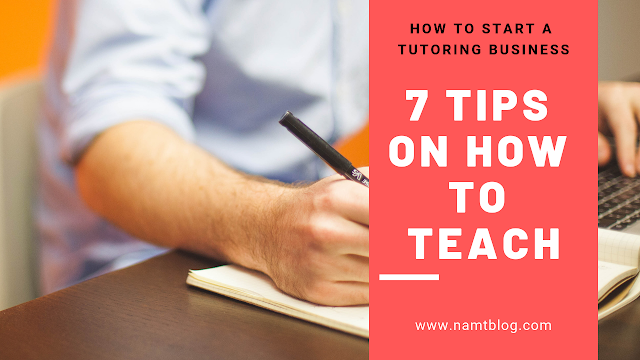 In this article, I will be giving you some tips on how to tutor a student. Okay, so you may be thinking what the point of this post is. “How hard can it be to tutor?” you may be asking yourself. But the truth is, if you don’t tutor properly, where you’re not helping your student improve or learn, you will lose that student. 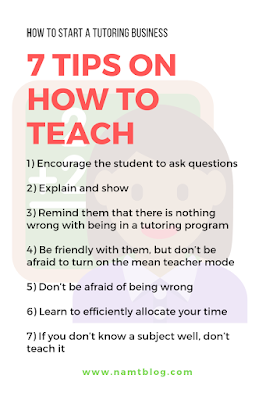 So, knowing how to effectively tutor is very important. Some of your students will be shy and won’t ask any questions. Additionally, some of them may be embarrassed that they don’t understand something and won’t ask when they are confused. So you have to get them to ask questions. To do this, you have to encourage them and keep reminding them to ask questions when they need help, and that it is okay to not know how to do/understand something. You should also ask them if you can look over their completed work and check it to see if they are doing it right. There are some tutors who just hand their student a worksheet and let them figure it out themselves. But I find that the student learns better and retains the information more when I explain to them the concept and show them (by doing a question or two as examples) how to do it. Some students will have big egos and will be embarrassed that they have to get extra help. 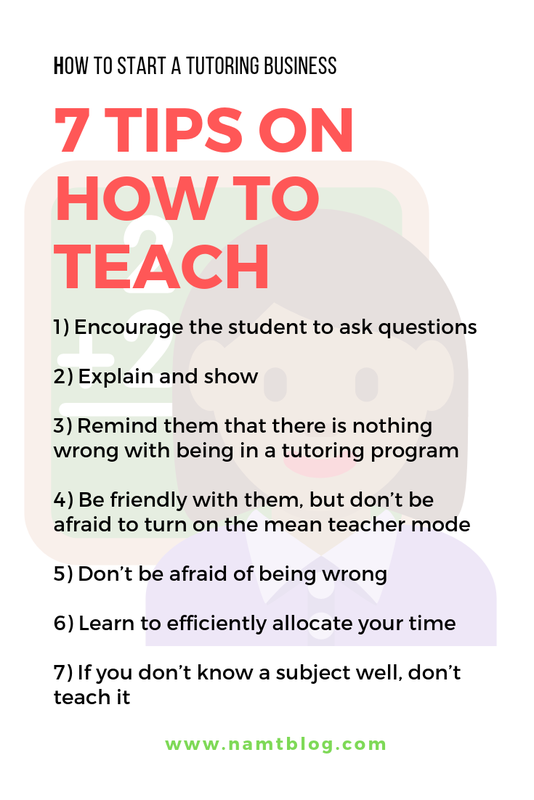 You have to remind them that it’s okay to be in tutoring and that everyone has trouble with schoolwork. This will also open the student up to asking more questions, which will better their understanding of their schoolwork and boost their confidence. Try to always be friendly with your students. But sometimes, there will be students that are rude or disrespectful and won’t focus on their work. In this case, be the mean teacher and tell your students to focus on their work and/or to stop disrupting others. Sternly remind them to not waste their parent’s money and do their work. Also don’t be afraid to raise your voice if you have to. When I first started tutoring, I never wanted to show that I didn’t know or understanding something. But sometimes, you will be wrong. You have to swallow your pride and admit that you are wrong or aren’t sure of something. If you do forget something or are confused with a concept, just tell the student that you are not sure and you will check the answer or right way of doing it. There is nothing wrong with being unsure. You just have to do the extra work to review what you’ve forgotten. If you have more than one student per session, you have to learn how to distribute your time. Some students may need more help than others, so you just have to spend more time with the ones that do. You are never going to be able to spend the same amount of time with each student, so don’t try to. Put more time towards the students who need more help. Just remember not to neglect the students who don’t need a lot of help. Don’t teach a subject you don’t know well. Just don’t. Not only will students waste their time and parents waste their money, but your reputation as a tutor will be tarnished as well. So if you don’t know something well and can’t learn it to the point of being well-versed in it, don’t tutor it. Also, if there’s a subject that you can’t teach or explain well, but know very well, don’t tutor it. There’s no point in trying to teach something that you can’t teach. These are 7 things that learned through my years of tutoring. I hope it helps you out and prevents you from making the same mistakes that I did. 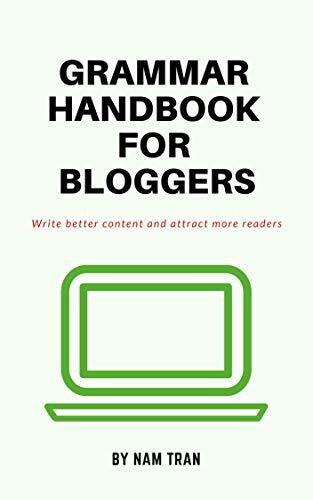 Do you have any tips that you would add to this list? If so, share it below in the comments. And if you're up for it, check out the next article where I share some inspirational and motivational quotes that helped me out when I was feeling like giving up.